Week 132 and again apologies for the tardiness of the posting but losing our beloved hairy hoolie Bailey, dampened spirits and moral and a lot has happened since then…but more of that later. I delved into Mary Berry‘s Baking Bible and surfaced after a brief browse with the last of the bread bakes, the walnut & raisin loaf and the cranberry& apricot fruit cake. I began with the walnut & raisin loaf as this was going to take a while.I mixed together the flour, salt, sugar, cinnamon, melted butter, water and yeast into a sticky dough and by hand too this time, back to traditional methods for this last yeast recipe. I kneaded it for a while and then put it in an oiled bowl and covered it and left it to rise. 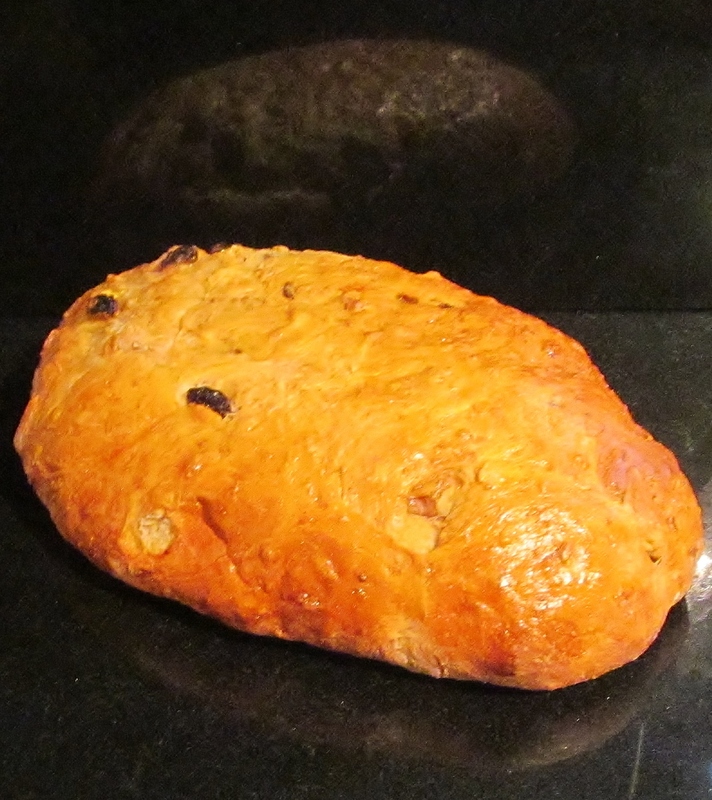 While this was doing it’s thing, I weighed out the walnuts and began the tedious task of chopping them, then weighed out the raisins and when the dough had finished rising, I had to knock it back and add the raisins and walnuts and divide the mixture into two loaves. I placed them on a baking tray and covered them with a bag and left them for a final rise. I then sent them to the chief taster’s to bake as my other bake was in the oven for a long slow cook and these guys needed a hot quicker bake. The loaves arrived back hot out of the oven after about 25 minutes and finished their cooling here. I then sent one loaf back to the chief taster with half the other bake. The second recipe was the cranberry and apricot fruit loaf. 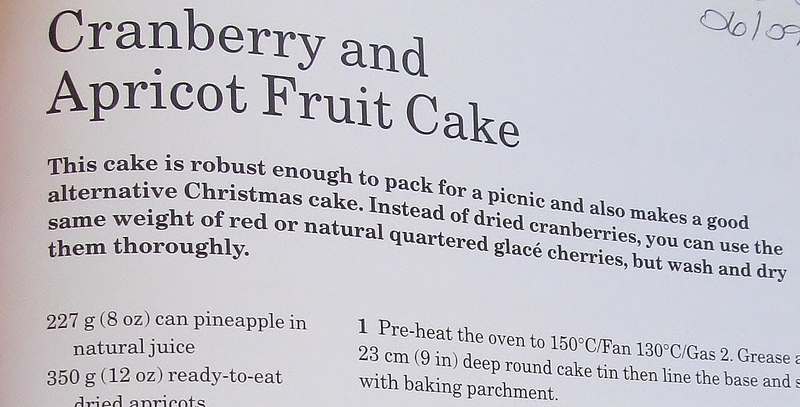 Mary tells you at the beginning of the recipe that this cake is robust enough to pack for a picnic but could also make a great alternative to a christmas cake. I had to begin by draining a large tin of pineapple , coarsely chopping it and drying it as much as possible which involved lots of kitchen roll. I then had to cut the apricots into pieces and chop the almonds. Finally I was ready to mix all the ingredients together and pour into a tin and level the top. I didn’t decorate the top with whole blanched almonds as suggested- I forgot!!! The cake baked for about 2 1/2 hours and finally was ready, I left it cool as Mary suggested before turning it out. 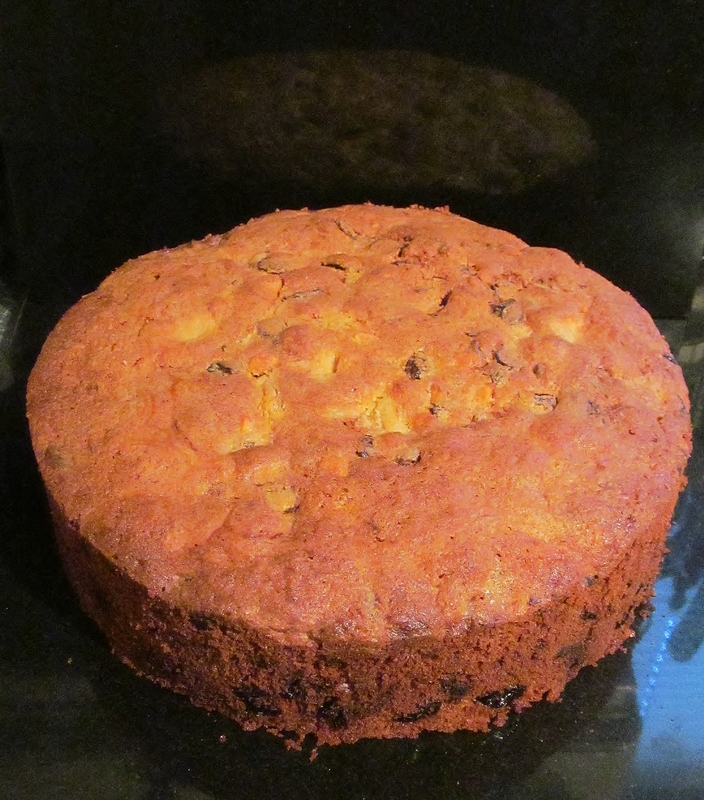 I got great compliments from the chief tasters who thought it made a really tasty fruit cake and dropped big hints about it being nice as a christmas cake! I have still been following the Great British Bake Off but with a heavier heart than before , and I have been keeping a close eye on Paul, Tamal and Nadiya and would be happy to see them in the top three. As you may have read in my last blog, we were devastated to lose our beloved Bailey so quickly. 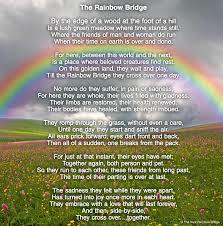 The poem, The Rainbow Bridge gives us both comfort and hope that we will be reunited with all our dogs when it’s our time. The day after we lost Bailey, we went to see our friends who had bred both our dogs to tell them about Bailey as they have his mum and his brother. We couldn’t tell them on the phone and there were lots of hugs, tears and tea. It’s funny how things happen. Three months before, they had another litter of puppies that we enjoyed spending time with and helping to socialise and then we waved them off to their new homes. The day we lost Bailey, they had contact from one of the new owners asking them to take back one of the puppies as they were struggling to cope with him. Our friends knew we were still raw and heartbroken about our Bailey but asked if we would consider having him. We went away and spoke lots about it. Our other hoolie was very down and quiet as she had never been an only dog and was missing him lots…as were we. We came to the decision that when they collected the puppy, that they should bring him back via us to see how the two of them got on….and he never left. We now have 1 1/2 hairy hoolies ! He is not a replacement for Bailey- Bailey can never be replaced, he will always hold a special place in our lives. However, the new young hoolie is helping with the heartache as he needs a lot of attention. 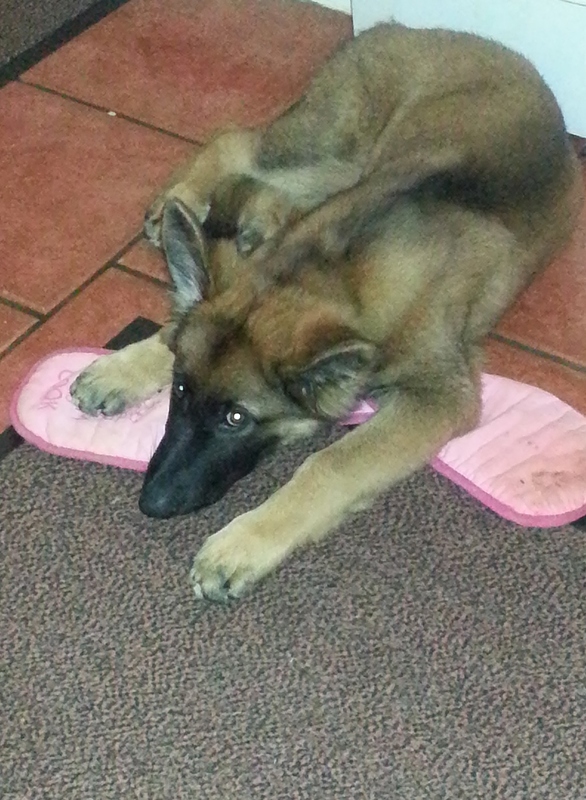 He is learning about my baking challenge already and has learned that the oven gloves are fair game! The count down continues as is now….9 recipes left to bake!